Indulging in a degustation means to enjoy and appreciate the art of fine cuisine and boy do we enjoy them. Proof that good things do come in small packages, degustations are more than a feast – they’re an experience. And a half. So hold on to your belt buckles people, because with course after course of degustation deliciousness on this list, you’re about to hear some seriously delectable, eye closing, food baby inducing goodness. Next time your dinner plans require at least six courses, you’ll know just where to go thanks to our list of the best degustations Brisbane has to offer. Tucked away in the ‘burbs is this cozy bistro full of charm, from the intriguing menu to the tassled lamp shades adorning the warren of dining rooms. Whether you’ve got room for their five, seven or nine course degustation (and we strongly recommend getting the matched wines), you’ll be hard pressed to choose a favourite course from the line up of innovative dishes including venison carpaccio, diamond clams with roast bone consommé and their classic sou-vide duck. Vegetarian and vegan degustations are also available for those who would rather not eat the restaurants namesake. Two Chefs Hats and the 2016 Chef of the Year in the kitchen? If you want to sample the height of Brisbane’s food scene, this is the spot to do it. You could go for five courses, but we definitely suggest nine – each of them as creative and delicious as the last. 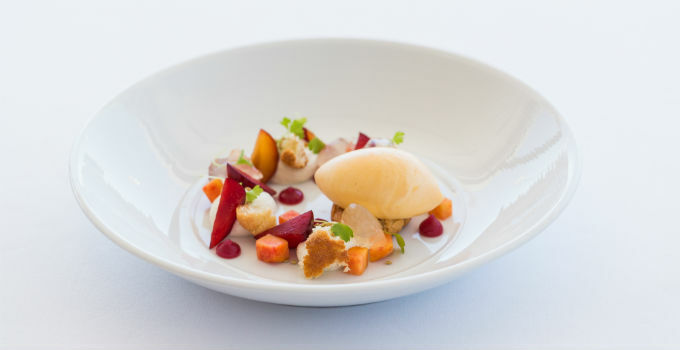 Designed to delight, the five-course degustation from the Treasury is a definite winner. You won’t gamble on going home hungry with courses including twice-cooked pork belly with celeriac and munthari berry vinaigrette, organic duck breast and chocolate tart. We can’t look past adding wine pairings for the ultimate experience. Five courses stretching it? Try their three-course midweek dinner special for just $60. Looking for some more spontaneity with your dego? We can’t look past Black Ox Dining. 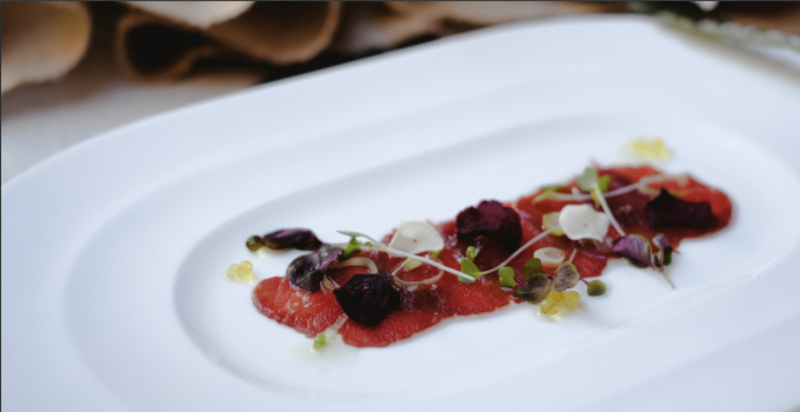 Combining seasonal, native produce with chef Chris Siktar’s Hungarian heritage. Previous dinners have included Queensland snapper with coastal greens, lamb with plum and duck yolk with asparagus – but every dinner is different! Black Ox will be back in 2018 so stay tuned. 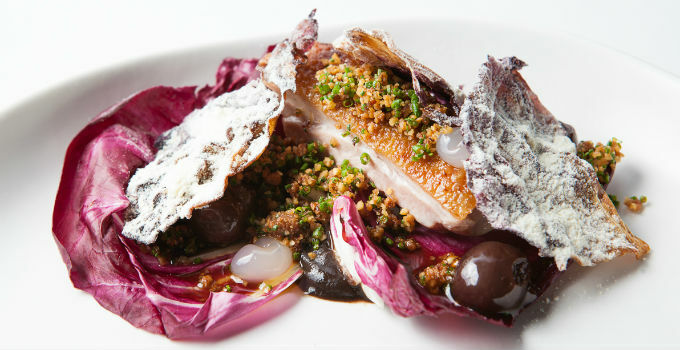 With five degustation options available, Bacchus has something for everyone. You’ll have a hard time choosing which multi-course option to pick between their regular, vegetarian, vegan and four course degustations, but our personal favourite is the dessert degustation. Skip dinner and go straight to dessert so you can get through five-courses of sweets like coconut cheesecake with butterscotch and banana egg custard with malt golden raisin, all in one sitting. Food baby, sugar high, food coma – in that order. Don’t waste precious minutes of date night umming and ahhing over Aria’s delectable menu, just opt for the tasting menu and await seven courses of seriously gourmet fare. Changing with the seasons, there’s one thing you can always count on – you will drool a little more than is acceptable in a fine dining restaurant. When you’re at 85 Miskin Street, you’ll know you’re truly in the presence of great food, and a love for all things tasty. Owner Brent Farrell’s obsession for food radiates through every tasty morsel of 85 Miskin Street’s seven-course degustation. They had us at fried haloumi with watermelon panzanella, sumac dressing and olive crumbs. More of a breakfast fiend? 85 Miskin Street has you covered with their legendary breakfast degustation. Mamma mia! Just when we thought Italian couldn’t get better, Tartufo offers us a degustation (or should we say, degustazione), that’s impossible to turn down. Loaded with all the classics like spanner crab risotto and an amazing chocolate fondant infused with fresh espresso, Tartufo will have you saying ‘bellissimo!’ in no time. With awards pouring out of their wine bottles and being served on their plates, the recently three-hatted Urbane is a definite add to your must-do list. Select from a five or an eight-course degustation menu (the more the merrier we say! ), and delight in delectables such as a roots kombu with cashew dish, which is more delicious than you ever thought possible. Both omnivore and herbivore options are available at Urbane, so if you’re looking for some romantic vegetarianism, it doesn’t get better than this. The mouth-watering menu at Alchemy is hard to pass up, but once you catch a look at the degustation offerings, you’ll never turn back. The scrumptious line-up at Alchemy had our jaw dropping before we even had a chance to say ‘six courses please,’ boasting fresh, seasonal offerings like roasted veal tenderloin with capers, French beans and lemon tuna dressing, prawn dumplings with garlic ginger chili and black vinegar consume and a dark chocolate bar with caramelised banana and salted peanut butter ice cream to finish it off. Holy. Never mind if you don’t know which fork to use or how to pronounce every course, all you need to do is skip lunch – you won’t be needing it after you have tried every one of the best degustations Brisbane has to offer.